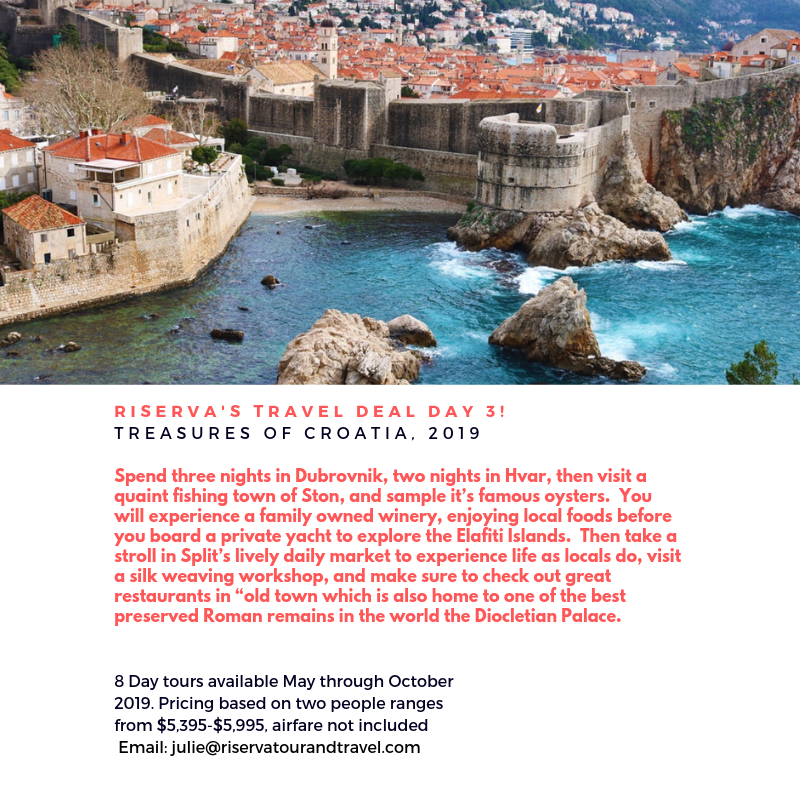 Croatia has a wealth of treasures from one of the most the stunning coastlines in the world to an enchanting history to a warm welcoming culture that will leave you wishing for more time in this wonderful country. Do not wait another day to start planning a vacation you will never forget! Spend three nights in Dubrovnik, two nights in Hvar, then visit the quaint fishing town of Ston, and sample it’s famous oysters and seafood. You will experience a family owned winery, enjoying local foods before you board a private yacht to explore the Elafiti Islands. Then take a stroll in Split’s lively daily market to experience life as locals do, visit a silk weaving workshop, and make sure to check out great restaurants in “old town” which is also home to one of the best preserved Roman remains in the world the Diocletian Palace.